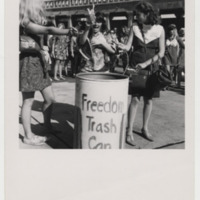 The Freedom Trashcan is perhaps the most famous aspect of the Miss America protests. Feminists threw pieces of patriarchal oppression into the trashcan, thus liberating themselves from male oppression. These items included fake eyelashes, high heels, girdles, and, most famously, bras. 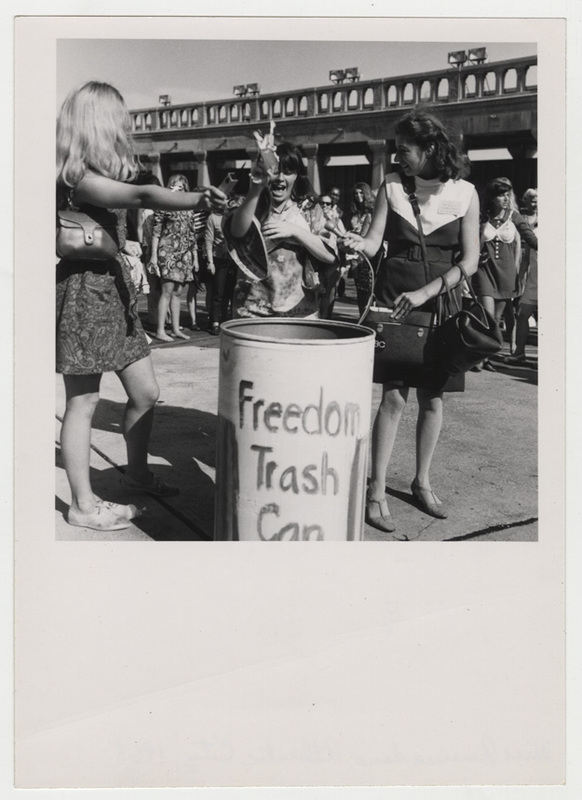 It is out of these trashcans that the infamous crazy, bra burning feminist myth sprung. Robin Morgan contemplated burning the items in the trashcan, but had been unable to obtain a burning permit, which meant that burning items on the boardwalk would have been illegal. Morgan was attempting to distance herself from the more intense and occasionally violent protests that had been occurring in other parts of the country. ,” The American Century, accessed April 20, 2019, https://americancentury.omeka.wlu.edu/items/show/219.